Are you considering Citi Bike? If you open a new annual membership, you can get a free month through if an active member refers you for a membership. 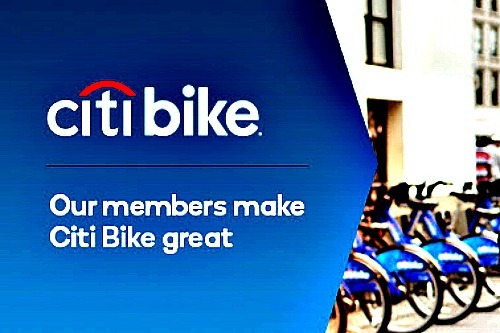 Citi Bike’s refer-a-friend program adds an additional 8.3% to your membership. 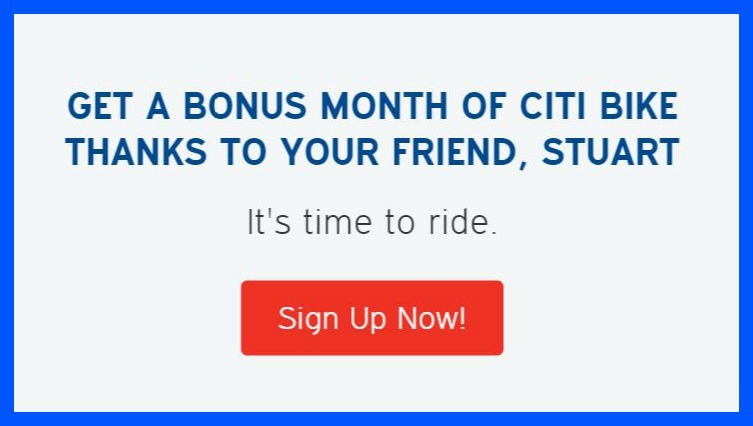 If you’re on the referring side or start to refer other members to be Citi Bikers, that 8.3% can add up quickly because the programs allows you to successfully earn up to twenty-four months that’ll be applied to your membership for the twenty-four new members through the referral program. Hey! I’m loving my Citi Bike membership and can totally imagine you loving it too. It makes it easier to get around NYC – and it’s fun! They’re also expanding into a bunch of new neighborhoods in Jersey City, Brooklyn, Manhattan, and Long Island City. No pressure but, we’ll both get a bonus month if you sign up for an annual membership today with my referral. Let’s go for a ride.